It's no secret in my family that TARGET is my favorite store. Don't even mention the name Walmart in my house without a snide comment or noise. Ughhh! My kids won't even ask me to take them there. Now as for my TARGETI have to go there once a week (need it or not), though most of the time we really do need something. Maybe I keep forgetting things on purpose? It is my shopping oasis :) And now that they are remodeling my TARGET I love it even more! On our last visit they just finished this giant Target circle. 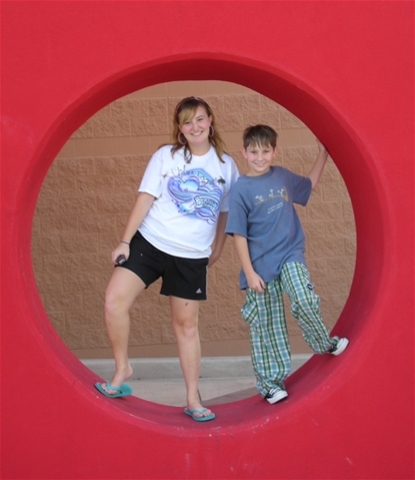 So being an avid scrapbooker and TARGET lover I thought what a perfect photo opportunity!